Lord Williams of Oystermouth, formerly Archbishop of Canterbury, today awarded the 2013 Michael Ramsey prize to Christianity and Contemporary Politics by Luke Bretherton at a gala lunch at the Telegraph Hay festival. Speaking about the winning entry, Lord Williams said, "Luke Bretherton's book is a systematic overview of what the Christian Churches as concrete communities can contribute to the cultural context in which politics has become such a complex matter. This is a finely argued theological take on the situation we face, based on practical examples and resources." On receiving the prize Luke Bretherton said, "I am deeply honoured to have won the Michael Ramsey Prize. My book was born of a deep pastoral concern about how the Church can faithfully navigate contemporary political life. "My highest aspiration in writing this book was that it would give people tools and understanding in discerning the relationship between Christian commitments and social, political and economic concerns. Winning the Michael Ramsey Prize is an affirmation that I have come some way to achieving that, and an affirmation of theology as both a pastoral exercise and one that has political traction." 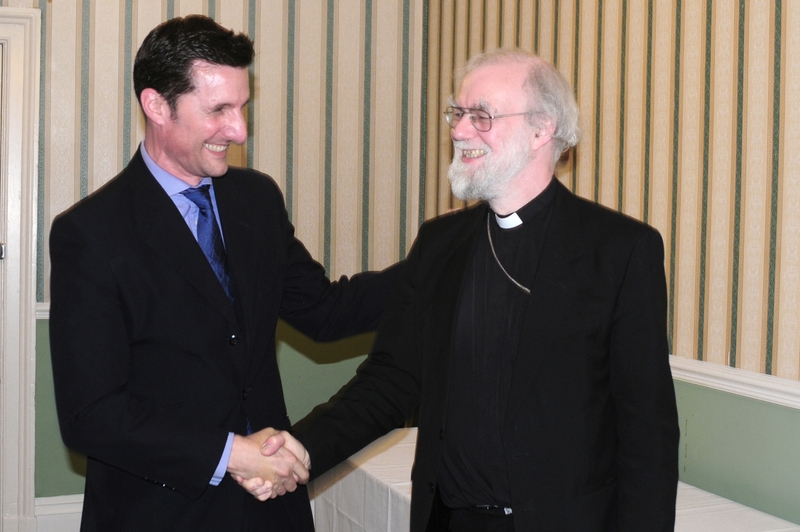 Of the six shortlisted titles, Rowan Williams said, ? "this year we were deeply impressed with the level of sophisticated engagement with the challenges and anxieties of the world we are in. 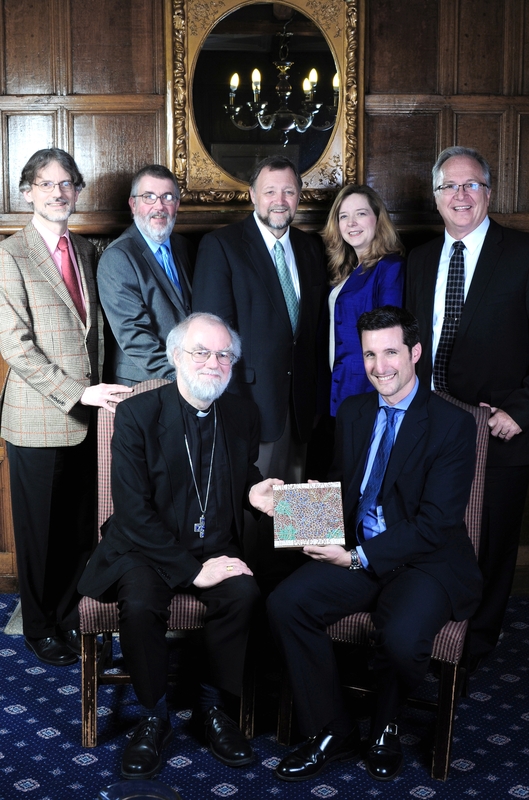 Every contribution has encouraged theological confidence, which is what we want the prize to do." The Archbishop of Canterbury, Justin Welby today said, "I am delighted that Rowan has agreed to continue his excellent initiative this year, the Michael Ramsey Prize. Equipping ordinary Christians, as well as church leaders and thinkers, with a sound intellectual basis to their faith, is more important than ever in this age where Christianity is so often challenged by aggressive secularism. I believe the Michael Ramsey Prize does an important job in helping Christians to arm themselves intellectually through the study of theology." The winner, who will receive a prize of £10,000, was announced at a gala lunch in the presence of Lord Williams, the Michael Ramsey Prize judges (including Neil MacGregor, the Director of the British Museum), and 150 guests. 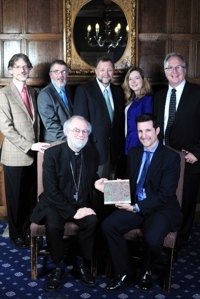 The Michael Ramsey Prize is awarded for theological writing which, by freshness and originality, somehow changes the theological landscape, and also serves the needs of the Church; not by being safe or orthodox, or by reinforcing the Church's institutional life but by giving people something with which to nourish themselves and to enrich their lived Christian experiences. The Prize is funded by the Lambeth Trust. Click on the images for full-sized versions to download. 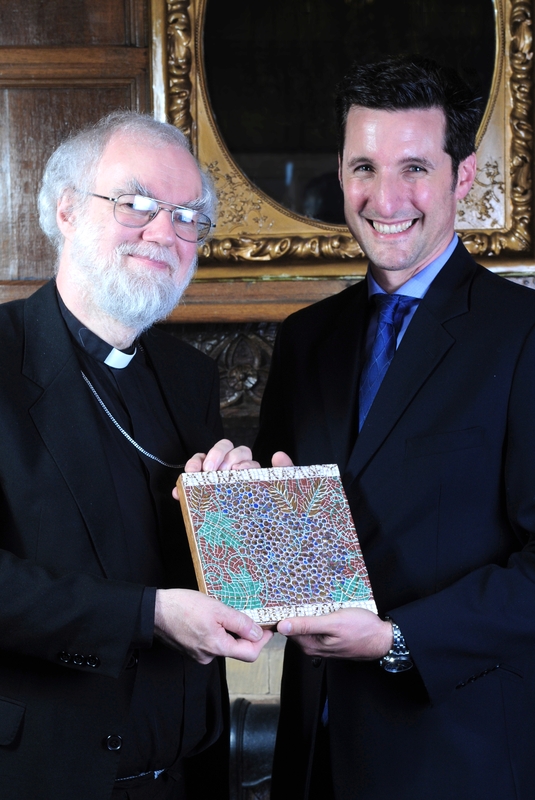 The Award, which is funded by the Lambeth Trust and administered by SPCK, was inaugurated by Archbishop of Canterbury Dr Rowan Williams in 2005 to encourage the most promising contemporary theological writing and to identify it for a wider Christian readership.